Zac Smith was born and raised in Grand Rapids, Michigan where he started his hockey career in the Grand Rapids Amateur Hockey Association. Zac eventually played in the Kenowa Hills youth hockey program and moved on to play 4 years as the starter at Kenowa Hills High School and started every game over 4 years. While at Kenowa Hills High School, Zac earned many team, area, conference, & tournament awards while posting a high school record low of 1.8 G.A.A in his Junior year. After graduating from Kenowa Hills with academic honors in 2008, Zac moved on to play Jr hockey in the Central States Hockey League (CSHL) for the Grand Rapids Owls. 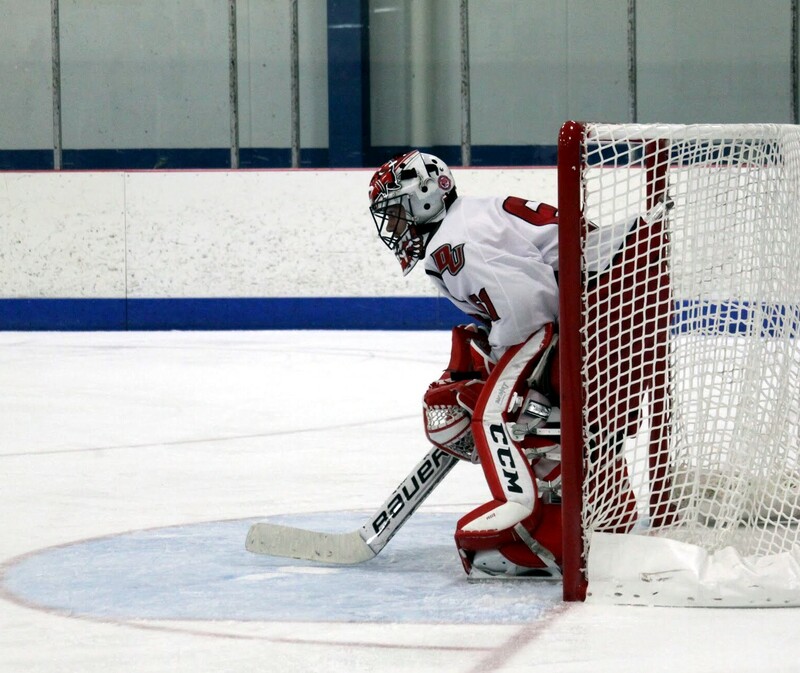 While there, he was recruited by the Davenport University ACHA D2 program to further his academic and playing career. In his first season with the Panthers, Zac posted an 8-2-0 record with an impressive 2.20 GAA. Zac also led the Davenport University Panthers to the Regional Championship game & also receiving the prestigious Mr. DU Award. This award is given to one student athlete each year that is considered by his coaches and fellow teammates as a true team leader on and off the ice. 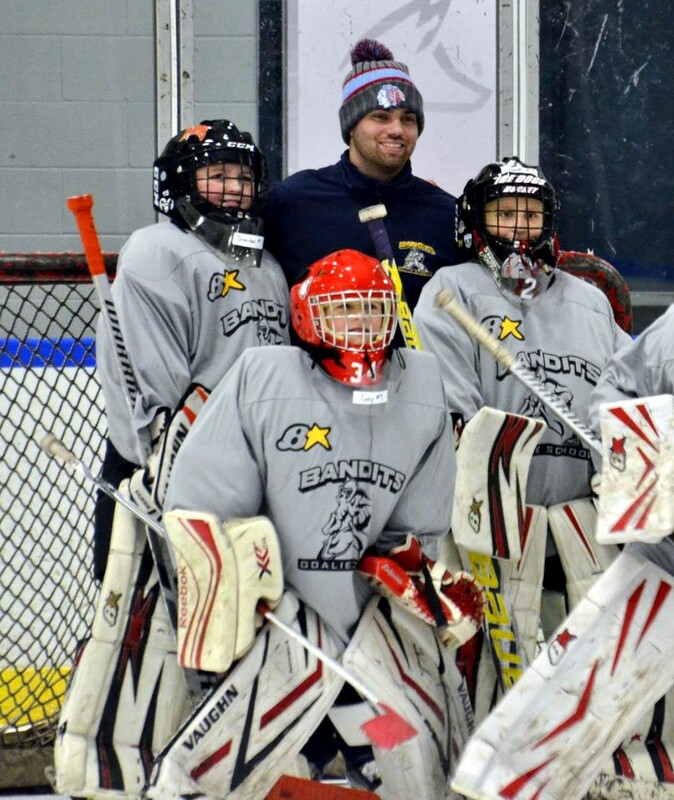 Zac works with numerous teams in the Western Michigan area for Bandits Goalie School especially ACHA D3 powerhouse Hope College who recently won the 2018 ACHA D3 National Championship in Columbus, Ohio. Along Joe Messina and Matt Sekosan, this trio covers the West Michigan territory for Bandits Goalie School and do a fantastic job! Zac’s playing experience in the Grand Rapids area and focus on teaching with students of all ages makes him a great addition to the Bandits coaching staff for years to come. Zac currently resides in the Grand Rapids Area with his wife Alix and their son Braxton.